Certified Hatha Yoga Teacher, Certified Yoga Alliance Senior Teacher, Ashtanga Yoga, Yoga for kids and Prenatal Yoga Teacher. Joana Cadete passions are family, Yoga, Surf and nature, the main reasons why she chose Ericeira to love. She is a certified teacher by Centro Português de Yoga, and Yoga Alliance as Senior Teacher. She has also certifications in Yoga during Pregnancy, Ayurvedic and Thai Yoga Massage, among others. She started to practice Yoga in 1995 with Carlos Rui, from the Centro Português de Yoga, and Ashtanga Yoga in 2000 with Tomás Zorzo and Camino Diez, style for which she completely fell in love immediately, and ever since became her personal practice, always under the supervision of her sweet teacher Tomás Zorzo. Fom 2003 to 2008 she had the privilege of attending annually, for long periods of time, the Ashtanga Yoga Institute, Mysore, India, to study directly with the source - Sri K. Patabhi Jois and Sharath, and from that date until today she has been deepening her studies of Yoga, Vedanta and Sanskrit with Swami Dayananda (India), Professor Gloria Arieira, Tomás Zorzo, Pedro Kupfer and Miguel Homem. Since 2000 she is dedicated to teaching, namely Ashtanga Yoga, Vinyasa Flow, Yoga for Pregnancy, Yoga for Children and Teenagers, Yoga Philosophy and Vedanta, conducts workshops and retreats, and organize various events with international teachers. I see Yoga as a lifestyle with the yoga poses, the breath, concentration, meditation, the study of the ancient scriptures, and the attitudes in daily life that will reflect all that. She also visits and conducts courses periodically in the Azores archipelago, where she founded the first yoga studio of the region in 2004, and maintains deep bonds of friendship with her students. Her classes, always inspired by the principle of Vinyasa, the synchronization of movement with the breath, have the particularity of inspiring students for self-observation, and to recognize their most profound nature of tranquility and bliss. An experienced and friendly teacher, passionate for sharing the art of Yoga. 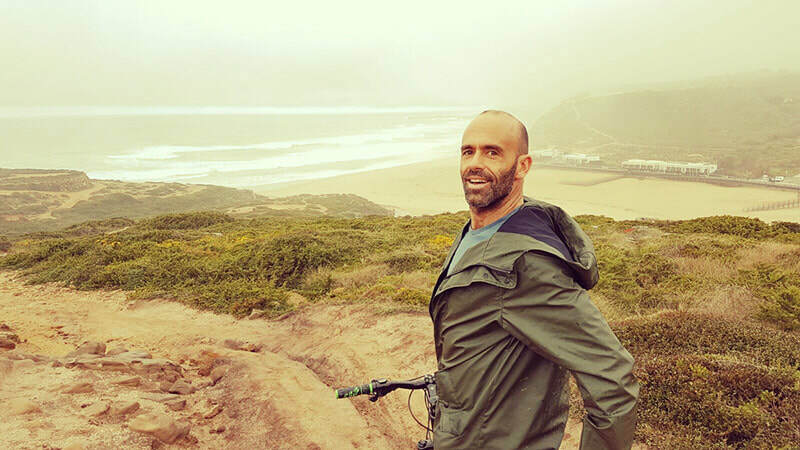 Rodrigo was born in Lisbon in 1973, but nowadays lives in Ericeira with his wife and daughter. He is a resident teacher of Ericeira Yoga Studio. Besides Yoga, he loves surf, nature and travel. Rodrigo is an experienced and friendly teacher, passionate for sharing the art of Yoga. Besides working the body through the asanas and having the breath always synchronized with the movement, in his classes he is mostly concerned about using Yoga as a tool to achieve a meditative state of mind. His guided Vinyasa Flow classes are like meditation in action. * Iyengar Yoga Course with Sharat Arora (2 weeks | Dharamkot, India, August 2008); Shank Prakshalana Retreat with Carlos Rui Ferreira (Mafra, Portugal, February 2009); Therapeutic Yoga Workshop with Inês Neves (Parede, Portugal, November 2009); several buddhist meditation retreats with Tulku Pema Wangyal Rinpoche (Alcochete, Portugal, 2010-2012); Yoga Self-Practice Course with Pedro Kupfer (Azores, Portugal, February 2014); Yoga in Pregnacy Workshop with Daniela Gfeller (Lisbon, Portugal, 2014); and Yoga Vasistha Sára - Vedanta & Yoga 6 Days Course with Pedro Kupker (Ericeira, Portugal, 2017). Besides Yoga, I love surf, nature and travel. E-RYT 200 Yoga Alliance certified Vinyasa Flow and Hatha yoga teacher, based in Ericeira. Lisa Andersson Rhodiner (SWE) is a E-RYT 200 Yoga Alliance certified Vinyasa Flow and Hatha yoga teacher, based in Ericeira. She has been teaching yoga full time ever since graduating her first teacher training in Bali in 2012, offering classes, workshops and retreats in both Europe and Asia. In addition, Lisa has taught at a number of international yoga festivals and events. She’s mentored and assisted at several teacher trainings and is the co-founder of INSPIRO YOGA and TRUE NORTH VINYASA, offering yoga retreats, events and vinyasa flow teacher trainings. Lisa’s teaches at Ericeira Yoga Studio from May to October, every year, and her vinyasa flow classes include slow, strong and playful sequences, shorter meditation and pranayama, encouraging hands-on adjustments accompanied by inspring music and sometimes she shares a short reading or poem. Since May 2017 she collaborates in Yoga Ericeira Shala teaching Vinyasa Flow classes, Yin /Restorative yoga and workshops. Certified teacher by Tribe Yoga in Goa, certified teacher in Vinyasa in Bali and Yoga for Children (Swaha Kids). Nazareno was born and raised in Uruguay. He is a lover of movement, play, nature and surf. His passion for movement and martial arts started at a very early age, and in 2001 he grabbed his backpack and went off to travel the world – longing for adventure. Travelling in Asia, in 2004 he found the practice of Ashtanga Yoga, which required full concentration, body awareness and commitment. Through meditation, studying yoga philosophy and experimenting more and more with his body and mind – he realized that he was capable of much more than he have ever thought - both physically and mentally. He completed his first 200 hrs Teacher Training with Tribe Yoga in Goa, India in 2011. Since then he has been teaching yoga full time in Bali, Sweden and Portugal and along with his travels through Europe and Asia. In 2013, while teaching at Radiantly Alive Yoga Studio in Ubud in Bali, he completed their 300 hours Vinyasa Teacher Training as well as Swaha Kids Teacher Training. 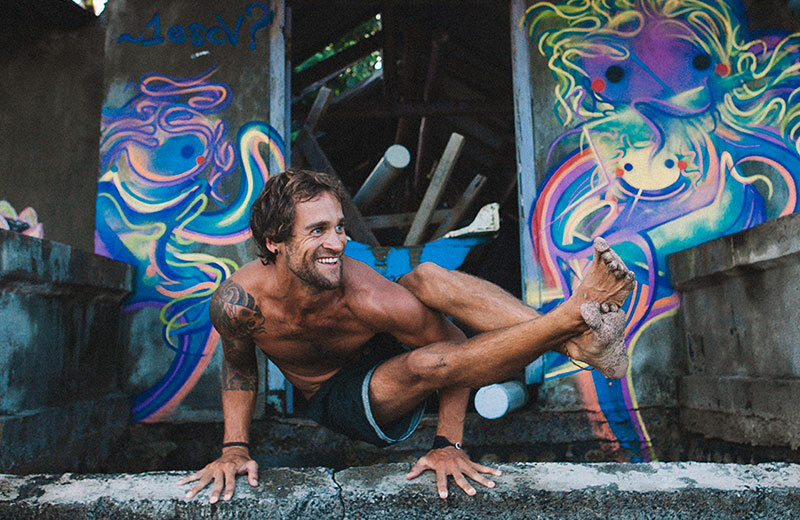 Nazareno teacher at Ericeira Yoga Studio from May to October, each year, and in his classes you can expect to be guided through playful yet sometimes challenging sequences where you work through the whole body finishing off with a well deserved Savasana. I'm a proud mother, and beside yoga I love traveling. 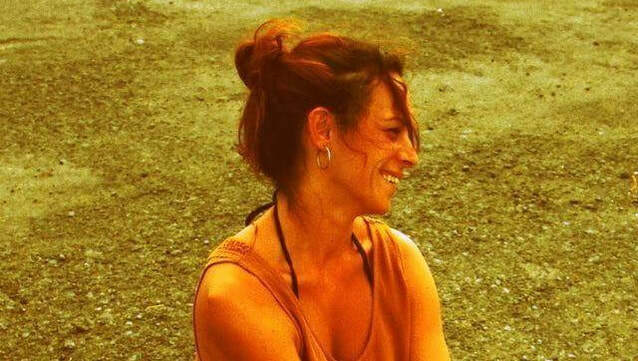 Catarina Mota is a Mother, Certified Yoga Teacher and Therapist of Ayurvedic Massage, and in love with traveling. In 2001, she graduated in Ayurvedic Massage at ALBA, Lisbon. Later she took the first level of Sound Massage with tibetan bowls by the method Peter Hess. In 2008 she learned Kundalini Massage in India. In 2012 she decided to take a Teacher Training of 200h in Tantra Yoga with Tri Dosha Method, India. Later she went to Croatia and did a course of 20h Vinyasa Flow with Nina Vukas. In 2017 she finished her Teacher Training in Aerial Yoga method, created by Rui Oliveira Costa. 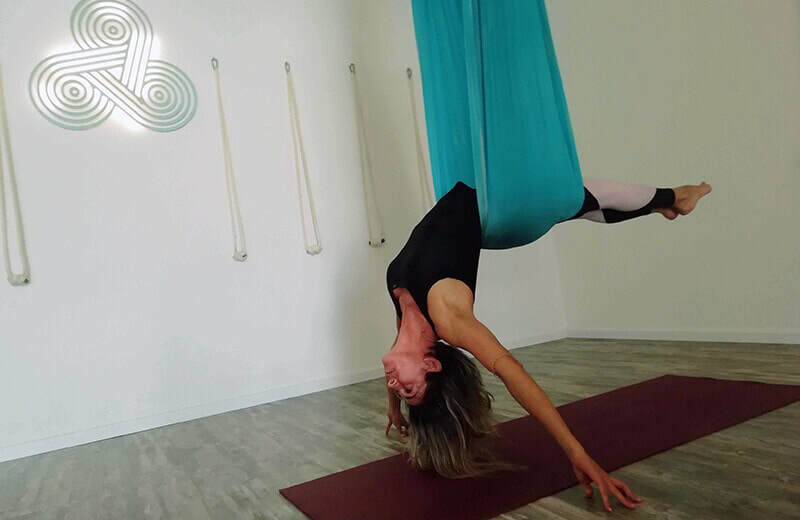 On the present she is fully dedicated to teach Aerial Yoga and Vinyasa Flow at Ericeira Yoga Studio all year long. Her Aerial yoga and Vinyasa flow classes are dynamic, sometimes stronger, sometimes more restorative, but always connected with the breath. The Aerial Yoga classes are organic, and flow between challenge and a gentle way to go deeper in each asana. Catarina teaches her classes with peace, happiness and trust. Ana is passionate about the sea, travel, and practicing Yoga for 17 years. She is a Certified Teacher of Yoga and Aerial Yoga and collaborates with Ericeira Yoga Studio covering Catarina´s classes whenever she is away for trainings. ​In 2014 she took a Teacher Training course, certified by Yoga Alliance, with Paulo Hayes, and later a meditation course in Kerala, India. In 2017 she finished the Teacher Training course in Aerial Yoga at Jaya Aerial Lab with Professor Rui Oliveira Costa. Originally from England, Charlotte adores her Portuguese lifestyle of yoga, surf and nature. ​After 10 years of practice, she completed her Vinyasa 200hr RYT training in 2016 and she has also certification in Ayurvedic Massage, magical hands and a special nourishing touch. 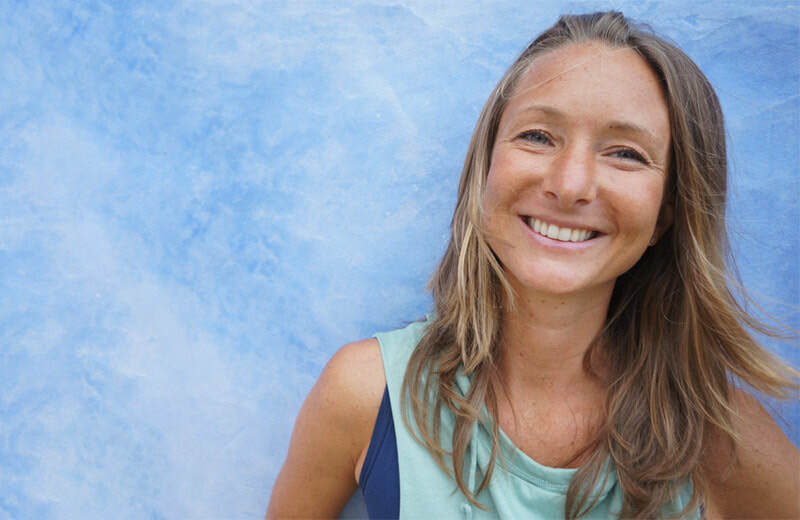 She gives ayurvedic massage and teaches all year long at Ericeira Yoga Studio, and her classes offer strong and steady sequencing, creating a deep understanding of your body and mind, leading you to the gate of your own yogic journey. Andrés was born in Colombia, he lived in Spain almost half of his life though. Yoga became part of his life in 2006, due to his strong interest in philosophy and psychology. In 2006, he began to practice regularly with Sivananda school at Madrid. In 2012 he met his master and lovely friend Tomás Zorzo, who gave him permission to start teaching. ​Nowadays, he lives in Ericeira, deep in love with his family and Portugal. Since 2018 he studies Yoga with Joana Cadete, in private classes, being her assistant in her Ashtanga Yoga classes, and also covering her classes whenever she is away. Nuno Vintem has been surfing for 30 years and is a Yoga student since 1998,exploring different methods until he found Astanga Yoga with Tarik Van Prehn in 2004. Since then, he studied extended seasons in Mysore,India with Sri K. Patthabi Jois and is grandson Sharath Jois and he was Authorized in 2011 to teach the Mysore Style system. 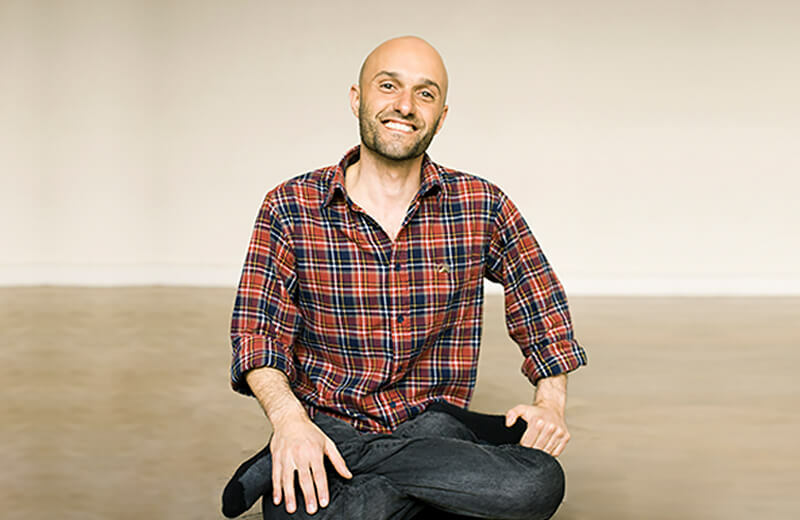 Nuno is been teaching Astanga internationally around the world for more than 10 years, and has been an invitated teacher at Ericeira Yoga Studio to teach on the summer seasons (April to October). 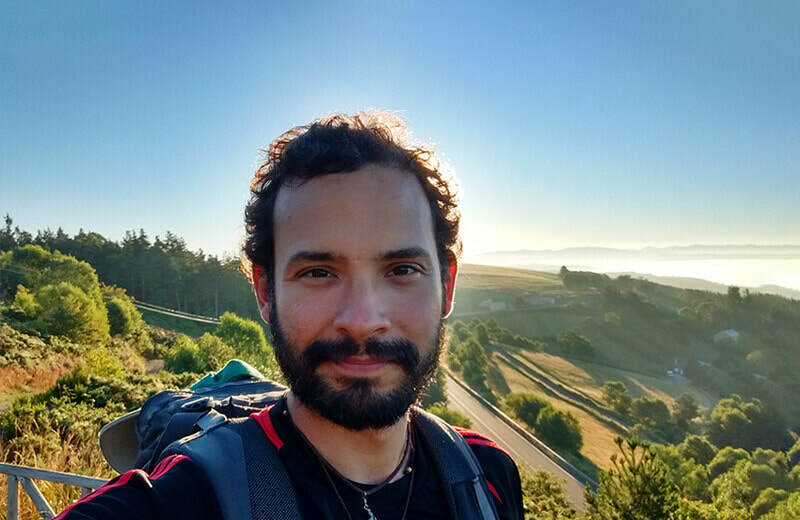 From April 2019, we are happy to announce that Nuno will be our resident teacher too, taking care of 7h00am Mysore Style, Ashtanga Yoga classes. I am a Dublin (Ireland) based yoga teacher but chose to come to Ericera to follow a life’s dream of learning to surf. ​I am a student of yoga for almost two decades and have been teaching yoga and meditation full time for the past 13 years. I am a teacher trainer, co-creator of a 200hr Yoga Training, and facilitate annual yoga retreats in Bali and Morocco. I believe in a supportive, down-to-earth style of teaching. I am presently teaching for a season at Ericeira Yoga Studio and my classes are slow, precise and meditative. They are physically challenging yet deeply nourishing. I am excited to meet locals, ex-pats and everyone in between in order to share my love for life, movement, the human condition and the beauty that can be brought forth from it all. I am excited to see you in class. A COZY STUDIO DEDICATED TO YOGA PRACTICE.